And sometimes you end up with mismatched socks. 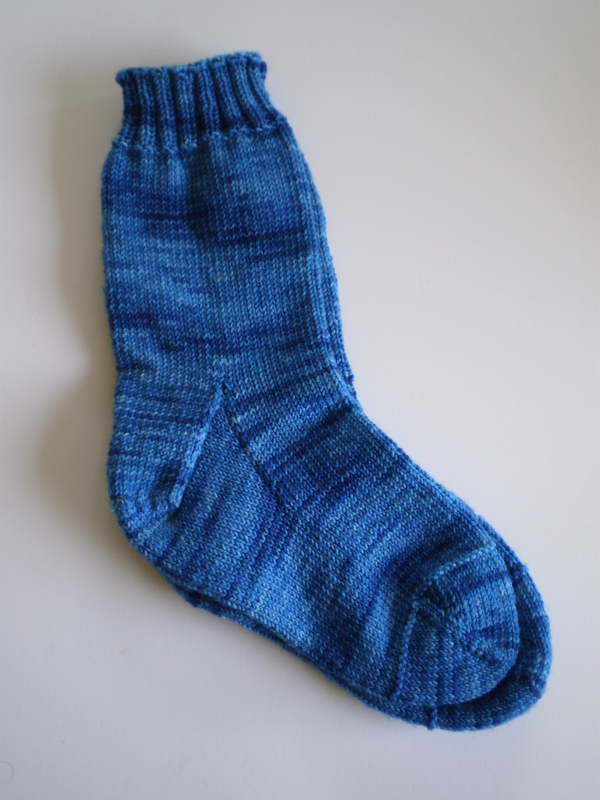 If my Ravelry page is correct, I started these socks in January, but I think I probably started them earlier- probably over Christmas. I finished one right away, then did the toe of the second one…. then…. nothing. I stashed these socks away “just in case,” then promptly forgot about them. So, when I was packing for my trip, I decided to bring them along. After all, a sock-in-progress fits in my purse, so they’re great for traveling. The pattern was super simple (just stockinette with a single row of purls around the toe and ribbed cuff), so they wouldn’t take away from looking out the window. And they were almost done, so they’d go pretty fast! Win-win-win. They turned out pretty cute! Nothing fancy, but they’re a pretty color, and they look ok. Except if you try to measure them against each other. One sock is fully a half-inch shorter than the other one. I swear I measured- I even counted rows! But, something must have happened to change my gauge between when I started these socks six months ago and when I finished them last week. Blergh. I don’t think I’ll try to re-knit them, or rip them out… they’re not fancy enough for me to really be bothered, and they aren’t going to be a gift. I think I’ll try blocking them out, and hopefully that’ll fix the problem. After all, blocking hides a multitude of sins. Have you ever ended up with significantly different socks? What did you do? 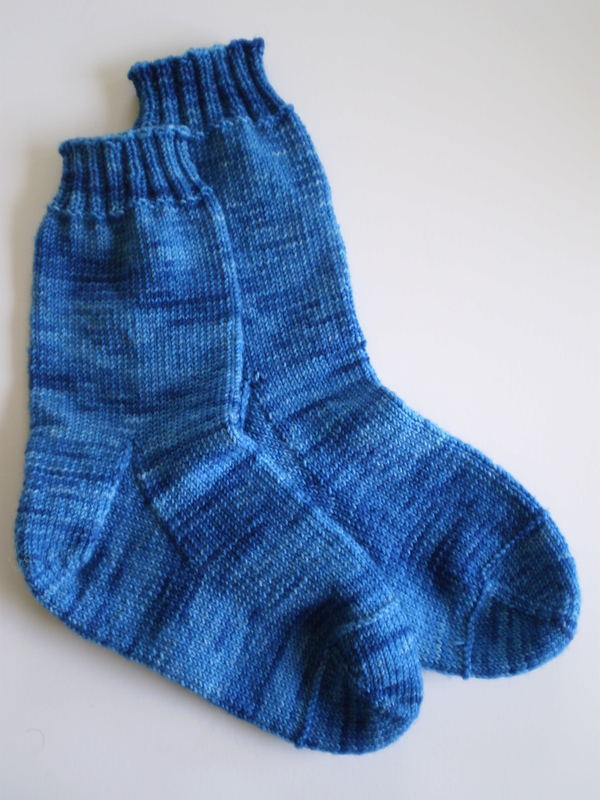 This entry was posted in On My Needles and tagged different sizes, Gauge, hand knit socks, knit socks, mismatched, socks on June 24, 2016 by onemilljellybeans. Yup, and it was all because I used the wrong sized needle on the 2nd sock. Didn’t bother to redo it, just wore them as is. Nobody could tell that one sock didn’t go up as high on my leg. I’ve had this happen to socks I’ve knit for myself and you’re right no one is going to be able to tell 🙂 I find I knit more relaxed with the second sock especially if it has a lace or cable pattern in it.